Home Building in progress next to a few already completed houses. Words and definitions that are used in the home building industry are sometimes a little difficult to understand what is meant. Here we have a list of some terms that are used with an explanation of what it is the person using it means. Some of these words and phrases are used in site plans, building plans and drawings and sometimes in litrature that is supplied with certain fixtures and fittings. The building inspectors that scrutinise plans and who also do site inspections might use any number of these phrases or words to explain what is needed to complete a project successfully. action: an assembly of concentrated or distributed mechanical forces acting on a structure (direct action) or the cause of deformations imposed on the structure or constrained in it (indirect action). agent: whatever acts on a house or parts of a house. Agrément Certification: certificate confirming fitness-for-purpose of non-standardised construction products and/or the acceptability of the related non-standardised design and the conditions pertaining thereto issued by the Board of Agrément of South Africa. assembly: aggregate of components used together. component: product manufactured as a distinct unit to serve a specific function (or functions). conservancy tank: a covered tank that is used for the reception and temporary retention of sewage and that requires emptying at intervals. deflection: the movement under actions of a defined point in a structure, in a defined direction. design working life: assumed period for which a house structure, a structural element or structural component is to be used for its intended purpose, without substantial additions and alterations, severe abuse or poor maintenance, without major repair being necessary. dimensional deviation: the difference between the actual (i.e. measured) size or position and the specified size or position. dry-stack masonry: an assembly of building units, laid in situ, in which the units are put together with mortar. durability: the retention of performance and appearance of a house and its various structural elements or components over time when reasonably maintained at regular intervals in a particular environment. environmental influence: mechanical, physical, chemical or biological influence which may cause deterioration of the materials constituting a structure, which in turn may affect its serviceability and safety in an unfavourable way. expected damage: an approximation of the probable damage that may occur in walls and floors. fabric: the basic architectural and structural elements of a house including the walls, floors, ceilings and roof. fire resistance: The shortest period for which a structural element or component will comply with the requirements for stability, integrity and insulation when tested in accordance with SANS 10177: Part II. french drain: a conventional absorption field that comprises a trench that is filled with suitably graded material and that is used for the disposal of liquid or liquid effluent from a septic tank or waste water. ground movement: the disturbance of foundations by influences not dependent on the loads applied by the housing structure. habitable room: a room designed or intended to be used by persons for sleeping in, living in or preparing food or drink in. imposed action: action for which the variation in magnitude with time is neither negligible in relation to the mean value or monotonic. lifetime: the period for which the house, as built, is used for its original intended purpose and occupancy, without substantial additions and alterations, severe abuse or poor maintenance, all of which may have a significant effect on the structural safety and structural serviceability performance of the house. maintenance: total set of activities performed during the design working life of a structure or a structural element to enable it to fulfil the intended requirements. masonry: an assembly of building units, laid in situ, in which the units are bonded and put together with mortar. minor damage: expected damage that can readily be attended to in the course of normal redecoration and requires only remedial work of a very minor nature to reinstate functional efficiency. non-combustible: material classified as non-combustible when tested in accordance with code of practice SANS 10177: Part V.
on-site digester: a sanitation system which provides on-site biological decomposition of the sewage in a container producing an effluent which is suitable for disposal on site by means of a subsoil percolation system (so-called French drain) or an effluent collector pipe (also called small bore sewer). • an effluent discharge pipe. The on-site digester is distinguished from septic tank installations in that the systems require little water for their operation. performance: behaviour related to use. performance description: a statement which identifies agents that affect performance in a qualitative manner and establishes how these agents affect the state of the house. performance parameter: user needs expressed in terms of the quantitative performance of a house attribute. Note: Performance parameters provide qualitative design criteria and as such establish constraints which impact on the solution that is adopted to satisfy the user needs and performance descriptions. permanent action: action which is likely to act continuously throughout a given reference period and for which variations in magnitude with time are small compared with the mean value. permissible deviation (PO): the specified limits of deviation. R-Value: the thermal resistance (m2.K/W) of a component calculated by dividing its thickness by its thermal conductivity. rational assessment: the assessment of the adequacy of the performance of a solution in relation to requirements by a process of reasoning, calculation and consideration of accepted engineering principles, based on a combination of deductions from available information, research and data, appropriate testing and service experience. rational design: any design involving a process of reasoning and calculation that is based on the consistent application of appropriate national or international standards or other relevant, authoritative and published technical literature. reliability: ability of a structure or structural element to fulfil the specified requirements, including the design working life, for which it has been designed. roof waterproofing system: all the essential materials, components and accessories that are essential to providing a waterproof barrier to the roof structure. Note: Roof waterproofing includes the necessary details for internal and external upstands, verges, gutters, gullies, rainwater outlets, expansion joints, pipes and other protrusions through the roof etc. sanitation system: an integrated series of compatible products and processes which accepts human body wastes and waste water from the user, and thereafter stores, conveys, processes and safely disposes of them. • treatment and disposal and/or re-use. septic tank: a chamber designed to receive sewage and to retain it for such time and in such a manner as to secure adequate decomposition. sewer main: a conduit that conveys human body wastes and waste water from a sanitation system though an interconnected complex or township to bulk sewer infrastructure. serviceability: ability of a structure or structural element to perform adequately under normal use under all expected actions. site class: areas that are designated as having common foundation and engineering characteristics, based on the expected range of total soil movements arising from ground movements within near surface soil horizons. soil pipe: a discharge pipe which conveys soil water. soil water: liquid containing excreta. stability: the ability of a structure to maintain equilibrium and to resist displacement or overturning. strength: the capability of a body to resist the actions applied to it. structural element: physically distinguishable part of a structure such as a foundation, floor, wall, staircase or roof. structure: organised combination of connected parts designed to provide some measure of rigidity. stormwater: water resulting from natural precipitation or accumulation and includes rain water, surface water, subsoil water and spring water. 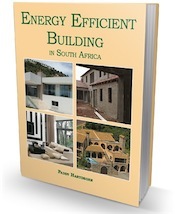 thermal performance: the result of a process whereby the design, layout, orientation and construction materials of the house modify the prevailing outdoor climate to create the indoor climate. Note: Thermal performance is generally perceived by users in terms of the extent to which the house seems cool in the heat of summer and warm in cold winter weather. taking into account the amount of heating or cooling required to create comfortable thermal conditions. tolerance: the limits within which a deviation must lie. total R-Value: the sum of the R-Values of the individual component layers in a composite component including air space and associated surface resistance. user: person that a house is designed to accommodate. user performance level: nominated performance parameters that are deemed acceptable to a particular user. user needs: a general statement of requirements for a house that may be regarded as being satisfactory by the user. Note: User needs can be considered to be design objectives. ventilated improved pit latrine: a sanitation system that requires no water for its operation, comprising a closet placed over, or adjacent to an excavation that is of adequate depth and size, which is designed to minimise smells and the attraction of flies. waste water: water other than storm water that is not contaminated by soil water . I live in an apartment block on the top floor where there are slate tiles above me. I have recently discovered that there is absolutely no insulation in the roof. It is literally ceiling board and then roof tiles nothing between the the ceiling boards and the roof tiles. Is this legal? / up to code? Marina, Insulation is not specified in Part L of SANS 10400 Roofs. It is though in the new XA specs which deal with energy. But the latter dates from 2011, so if your building is older than I don’t think they had to insulate. I’m not 100% sure. Perhaps contact insulation companies to find out their take on the situation. I just want to know how much does an architect charge for a six room house plan? Hi Lungelo, The answer is “How long is a piece of string?” There are so many factors that are involved when it comes to designing and drawing up plans that it is impossible to say. The best would be to contact the Institute of Architects (SAIA) and ask them.